My New Home's Basement is Flooded. Is the Builder Responsible? Home » The Law & You » The Basement of My New Home is Flooded. Is The Builder Responsible? The Basement of My New Home is Flooded. Is The Builder Responsible? A viewer recently purchased a newly constructed home but soon discovered her basement full of water. Is the builder responsible for the flooding? Real estate attorneys Greg Fellerman and Ed Ciarimboli answer this difficult legal question. Dave Kuharchik: A new home becomes a new nightmare for one of our viewers. 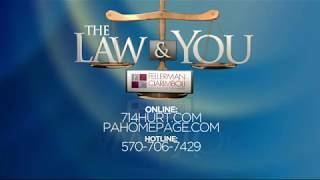 It’s “The Law & You” with attorneys Greg Fellerman and Ed Ciarimboli. Ed Ciarimboli:Dave: Literally, just came up with it on the spot. Greg Fellerman: That’s why you get paid the big bucks. Dave: Yeah, let’s get to our question tonight. Here’s the set up — Jill in Dunmore says, “I recently purchased a new home and after two months we started getting a lot of water in the basement.” So Jill wants to know who’s responsible, is the home builder? Ed: The builder could potentially be responsible here. It really depends upon some of the warranties in the construction of this new home when you purchased it. You really got to look at the documents that you got from the builder. You got to look at your sales agreement. But, there should be some warranties that would survive the sale. Especially for something like that, for water in the basement. That wouldn’t be something you normally see or if it wasn’t present at that particular time. I think they might have a claim against the builder. Greg: Could be. I’m not sure if they bought the home from the builder or they bought it from a first owner. So I’m not really clear but you would think a new home that was just recently built should not be having water problems. I think that is a big issue that you need to back your way into finding why it is happening if you can and try to find out who is responsible. The builder would probably be the first place to start in this situation. Because if you build a home, you shouldn’t have water in it. It’s pretty simple. Ed: The thing you have to do to prove your claim is you’re going to have to document the damage. Make sure you have a lot of photographs, you’re going to have estimates, you really got to have a paper trail in this if you’re going to be successful in any claim against the builder. Greg: Or the cost to remediate it. Dave: All right, and if you need to be pointed in the right direction with the legal scenario, these guys will help. You can call them, reach them online. And don’t forget, results matter with attorneys Greg Fellerman and Ed Ciarimboli. Thanks so much, guys.